The story of FDA objecting to a fake mayonnaise product calling itself Just Mayo™ has reached a happy ending just in time for Christmas. 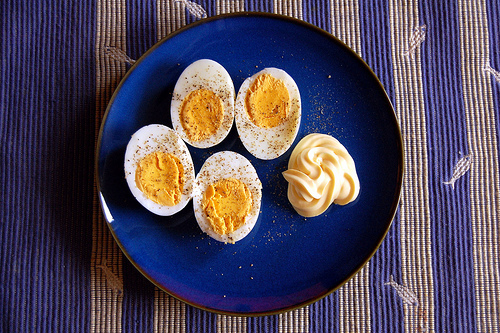 FDA has saved face and seemingly not backed down from its definition of what mayonnaise is. Hampton Creek, the startup behind this product, has kept its branding and won lots of great publicity. The key to sealing the deal was defining the word just. Being a righteous little startup it was obvious to the people at Hampton Creek that just meant that they were guided by justice, reason, and fairness. When Unilever (makers of Hellman’s Real Mayonnaise) sued, Hampton Creek played it for some great David-vs-Goliath publicity. They earned more of it when they publicized documents from the Egg Board suggesting a conspiracy against them. So big bad FDA didn’t have a chance in the court of public opinion. The solution involved revising the label to include a definition of the word just. You can see it in the lower half of the before and after labels above (if you want a closer look, click on the image). 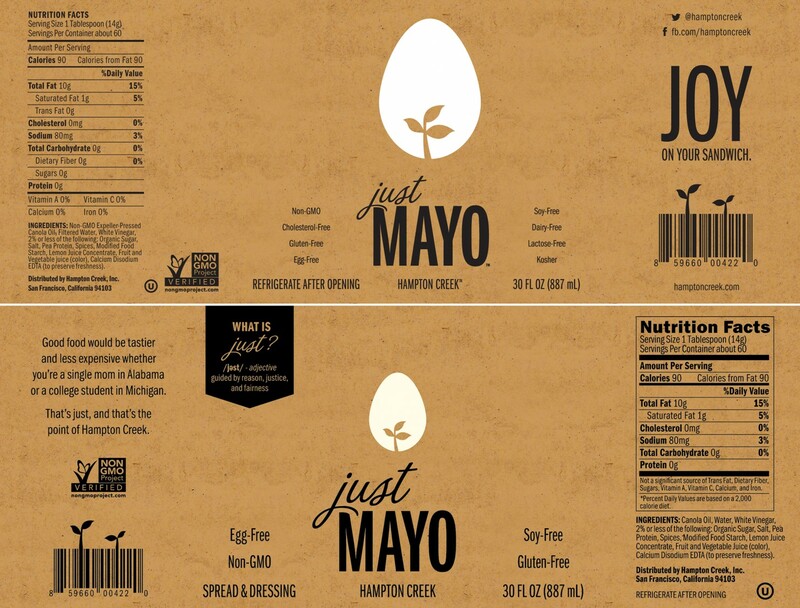 Hampton Creek also had to make the word egg-free more visible on the label. Everything in food policy should be so easy. Are we in a season of goodwill? Click here to read more in the New York Times and here to read more in the Washington Post.